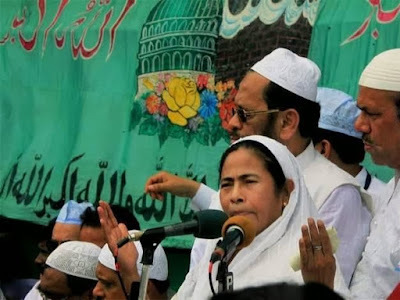 West Bengal Minorities Development & Finance Corporation (WBMDFC.) Offers loan facility to promising entrepreneurs belonging to the minority communities (muslims, christans, buddhists, sikhs, persees) for their financial as well as social advancements. • Beneficiary must be a notified minorities i.e. Muslim, Christian Buddhist, Sikh and Parsee. • He should not be a defaulter in respect of loan taken previously from Banks/ Financial Institutions for similar purpose. Project cost up to Rs. 5 lakhs is sanctioned by any commercial bank and willing to finance 60% of the project. West Bengal Minorities Development & Finance Corporation (WBMDFC) may provide loan up to 25% of the project cost. However this assistance is subject to a maximum amount of 1.25 lakhs. The rate of interest will be 4% on receiving requisition from the sanctioning bank. The recovery of the loan will also have to be proportionately shared. Loan upto Rs 25,000/- is given for any ongoing scheme and repayable in 23 monthly installments. It provides financial assistance to augment income generating activities like small business, trade, tiny/cottage industry, service activity,artisan activity, agriculture or allied activity, transport sector activity. The scheme provides credit through NGOs. The NGOs may finance the beneficiaries directly or through Self Helf Group. Quantam of loan is upto Rs 6000/- per individual for short term (6 to 15 months) and Rs 10000/- for medium term (2 to 3 years).